Laser carved wooden earrings. 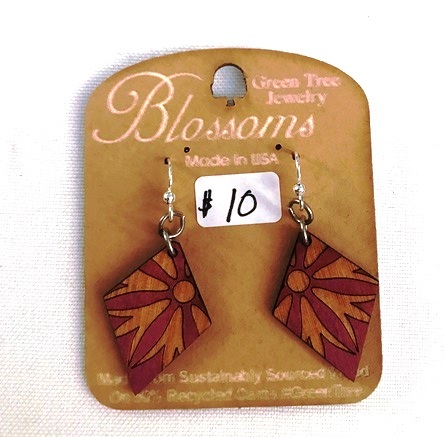 Design 149, small "Blossom line" earrings, less than 1 square inch in size. Daisy design on diamond shape, in purple.